A simple federal income tax return is one with almost no options. The Internal Revenue Service offers two streamlined versions of its 1040 individual income tax return. The simplest is 1040EZ, for taxpayers with very basic tax situations and usually the quickest refunds. The 1040A is also simplified but has more options for filing status and more opportunities to claim tax credits. The IRS also has simplified filing with e-file, an electronic method used in 2011 by nearly 1 million taxpayers. The 1040EZ is for an individual or married couple filing jointly, under age 65 with no taxpayer dependents and with taxable income under $100,000. You must be reporting income only from wages, salaries, tips, taxable scholarship or fellowship grants, unemployment compensation, or Alaska Permanent Fund dividends, and taxable interest not more than $1,500, with no mortgage interest or other itemized deductions. This is easiest to e-file, and if you don't qualify, the system will automatically tell you. The IRS advises taxpayers to use the simplest form for a specific situation but cautions that the simplest form may not always produce the best tax results. A young taxpayer with a student loan, for instance, will miss a deduction for interest with a 1040EZ. A taxpayer contributing to an individual retirement account won't be able to deduct that contribution with a 1040EZ. A taxpayer receiving Social Security benefits still may be able to file a 1040EZ. Add half the Social Security benefit to other total income, including wages and interest. If that's less than $25,000 for a single return or $32,000 for a joint return, none of the Social Security is taxable and you can still file a 1040EZ. In that case, you don't list any Social Security benefits as income. A taxpayer with income under $57,000 can use an IRS FreeFile option to prepare and file a 1040EZ. 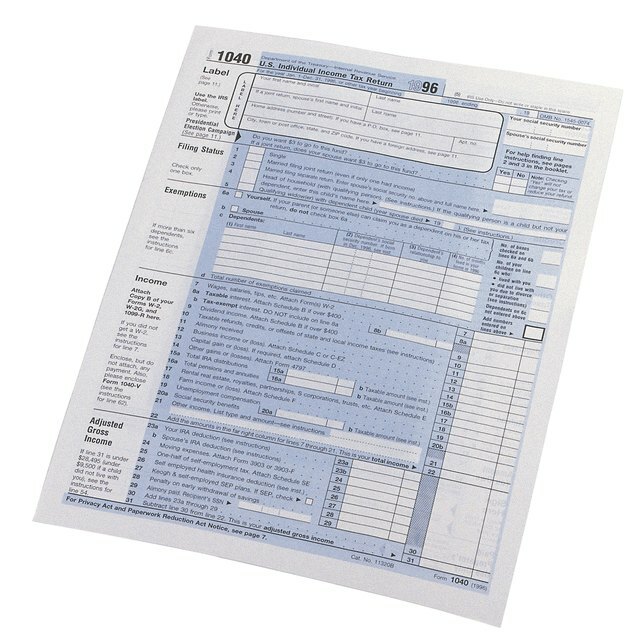 You also can use an electronic version of IRS forms for a simple return. These can be used by taxpayers who want to prepare their own returns but e-file for faster refunds. These "fillable forms" look just like paper forms but do only basic math. IRS: Who Can Use Form 1040EZ? H&R Block: Do You Have a Simple Tax Return?